At the Paul Ricard Circuit in France, Porsche has presented the second generation of its Le Mans Prototype 919 Hybrid race car as a technical evolution in a three-colour concept. Wolfgang Hatz, board member for research and development at Porsche AG, stated the following at the presentation of the LMP1 prototypes in southern France: "The LMP1 programme at Porsche focuses on extensively networked cooperation between the engineers who work on our innovative drive system concept." The WEC regulations are designed to ensure that the most efficient car wins. The automotive industry in general must adopt exactly this approach to remain viable. Porsche already offers three plug-in hybrid production sports cars today. “This sets us apart from the competition and we plan to grow even stronger in this segment," said Hatz. "To this end, we need substantial expertise within the company. The tremendous pressure to perform in the top LMP1 category means our development specialists for production cars learn a lot in a very short time. On the other hand, young engineers receive top-quality training at turbo speed, and this knowledge can later be applied very effectively in series production. Learning from the race track for everyday roads is a tradition at Porsche. 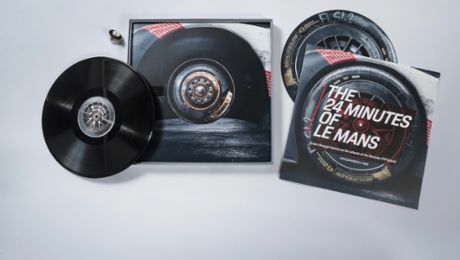 Therefore it makes perfect sense to create at least a partial link between our Le Mans prototypes and our motor racing history by means of the colours we use." The 919 is equipped with a 2-litre V4 turbocharged petrol engine with an output of more than 370 kW (500 hp), which powers the rear axle, and an electric motor with over 280 kW (400 hp) that drives the front wheels and gets its electricity from two energy-recovery systems. A liquid-cooled lithium-ion battery temporarily stores converted braking energy from the front axle as well as converted exhaust-gas energy. The reworked drive system is more powerful and more efficient than before. 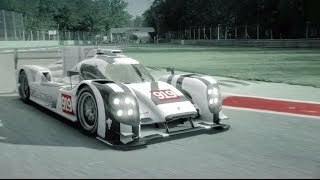 The Porsche 919 Hybrid was homologated for the top energy-recovery category (8 megajoules for one lap in Le Mans) for the first time in 2015.